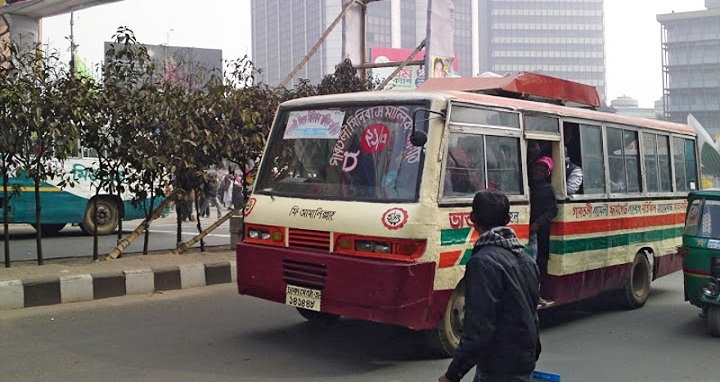 Dhaka, 6 August, Abnews: After being suspended for the last few days due to protest by agitating students, bus service resumed on Monday morning across the country, including the capital. On Sunday night, Bangladesh Sarak Paribahan Samity decided to operate bus from Monday morning. Amid the growing student movement over a nine-point demand, including ensuring safety, transport owners had suspended the bus services in the capital and on long-routes for an indefinite period. On July 29, Diya Khanam Mim and Abdul Karim Rajib, students of the college section of Shaheed Ramiz Uddin School and College, were killed as a 'Jabal-e-Noor Paribahan' bus ploughed through some students in front of Kurmitola General Hospital on Airport Road which sparked off protests among the students across the country.